Cannabis has become one of the most commonly used drugs and is even the topic of popular debate on legalization. Cannabis, also referred to as pot, marijuana, weed, and a variety of other nicknames, is a drug that continues to be less harmful on the body than some of the more serious drugs. 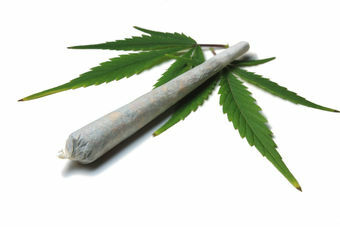 Regular users argue that marijuana grows from the earth and so it’s all nature, as opposed to drugs like cocaine, acid, and meth that are man-made substances. Marijuana finds its way into nearly every party, school, and social gathering, so even the most casual users have easy access to it on a regular basis. And because the distribution of it has become legal in certain states, it’s easier than ever to obtain. Over the past few years, medical marijuana dispensaries have been popping up all over the state of California. These dispensaries are designed to assist people with real medical needs to obtain pot, but it’s become a store that it seems anyone can gain access to if they way. To enter a dispensary, you must have a medical marijuana card that was issued to you by a physician. The laws governing the cards were strict in the beginning, but now there are offices set up for the sole purpose of dispensing medical marijuana cards. This has made it very easy for anyone claiming anxiety or sleeplessness to obtain a card and buy pot legally. It also protects you from the law if you are caught with pot on you; all you have to do is present your card to the officer or authority. These dispensaries have been a hot topic for statewide debates in the state of California’s political world. Authorities have seen the car usage get out of control over the past few years and believe it has become increasingly difficult to manage. It was put to vote whether to make it a black and white issue; legal or illegal. The majority of dispensaries found themselves forced to shut down because they say that the US government law trumps the state level. This has caused an uproar among California residents making the argument that why should they even have state-level laws if Washington DC can just come and pull the rug out right from under them. Whether you refer to it as cannabis, marijuana, pot, or weed it continues to be a topic of debate. It also continues to grow in popularity with every new coming generation, so the legal debates won’t be slowing down anytime in the near future.